I am planning to visit Spain but I had some problems last time I went to the schengen area. I was issued a visa by the Swiss embassy. I was granted a single entrance visa. The agent who helped my family apply for the visa did not remind us that a single entry visa was not valid for Croatia even though we gave her our itinerary. When we tried to enter Croatia the border guards said it was invalid and we should go back to Ljubljana and apply. 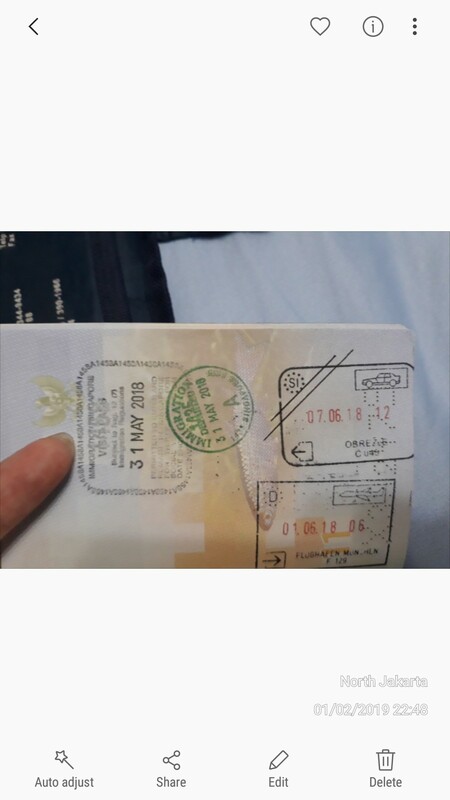 Below is my exit stamp from Slovenia cancelled due to the visa error. When we left the schengen area and continued our flight to Singapore, none of the immigration officers on the passport control asked us a single question. When I took a flight from Ljubljana to Amsterdam and then Amsterdam to Athens, some of the flight attendants asked whether I have a visa. I guess it is a warning on the schengen info system? I am worried that I might get blacklisted by the schengen area and Croatia as Croatia is an upcoming member of the schengen area. I have not applied yet. I had read a blog where the writer had been denied entry due to overstay. In my case I never overstayed in any country. Could I have a denial of entry on my upcoming euro trip and visa application? None of the Croatian officials stamped denied entry or exit stamp with 4 lines. Am I blacklisted or even banned from the schengen area? Note when I left the schengen area via Switzerland (the country which issued me the single entry visa and my last destination on last year's trip) not a single word came out of the passport control officer. He just stamped us out and smiled. Here is the cancellation of the exit stamp from Slovenia plus note no letter, no stamp from the Croatian border. The border inspector even said sorry and if you would like to come again please kindly get a visa from our embassy in Ljubljana or visit another time. The Slovenian border guard just cancelled our exit stamp and asked the bus driver to drop us to the nearest bus station and gave us a taxi number to drop us to the nearest train station to get back to Ljubljana. Browse other questions tagged schengen-visa tourist-visas or ask your own question.